San Clemente, CA is famous for its small-town vibe, scenic beaches, and its epic surf spot, Trestles. However, this quaint beach town also boasts some premier hiking trails, especially in the Rancho San Clemente area.About 2 miles inland from the beach, the Rancho San Clemente Ridgeline Trail is a 3.5-mile paved path that allows for pedestrians, bicycles, and dogs on leashes. 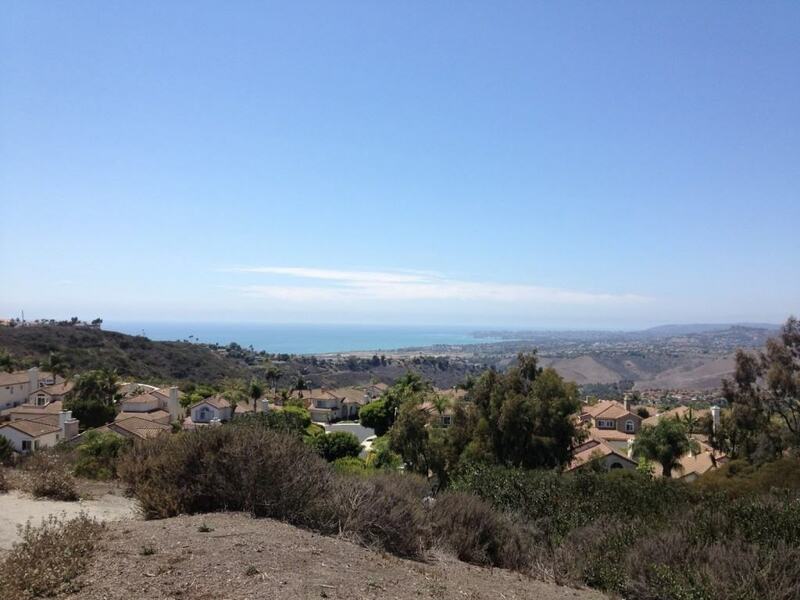 It offers vast views of the San Clemente and Dana Point coastlines. This hike has several steep grades, but the majority of it is easy, long grades – perfect for new hikers! 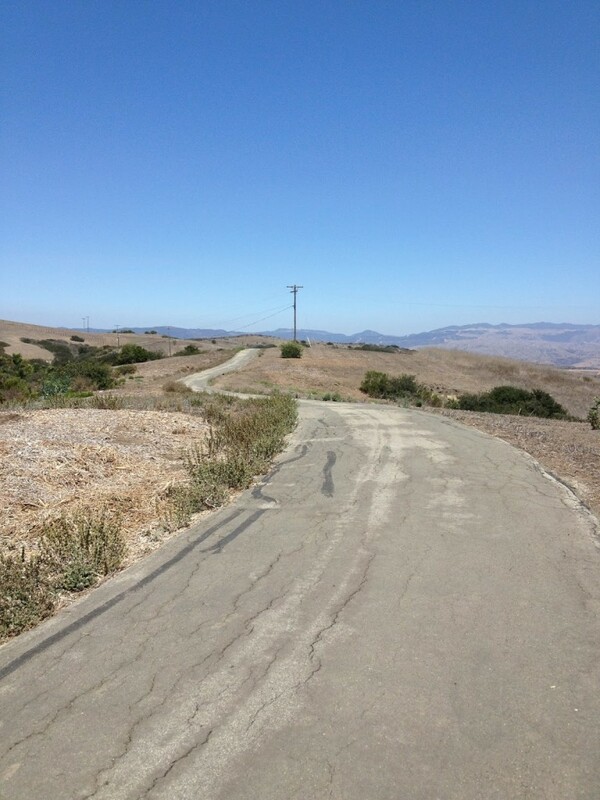 Because of its asphalt path, the Rancho San Clemente Ridgeline Trail is the perfect hike for less experienced hikers, while still offering gorgeous views of the Pacific coastline. It’s easy to access and allows for bicycles and pets too!This California hike meanders among the hills of Rancho San Clemente area, and even though it’s just a few minutes from the freeway, it still feels secluded and remote from the busy streets. Exit Avenida Pico in San Clemente. Turn left onto Pico and continue for about 2 miles. Turn right onto La Plata and continue until it dead ends. Park at the skate park or dog park. 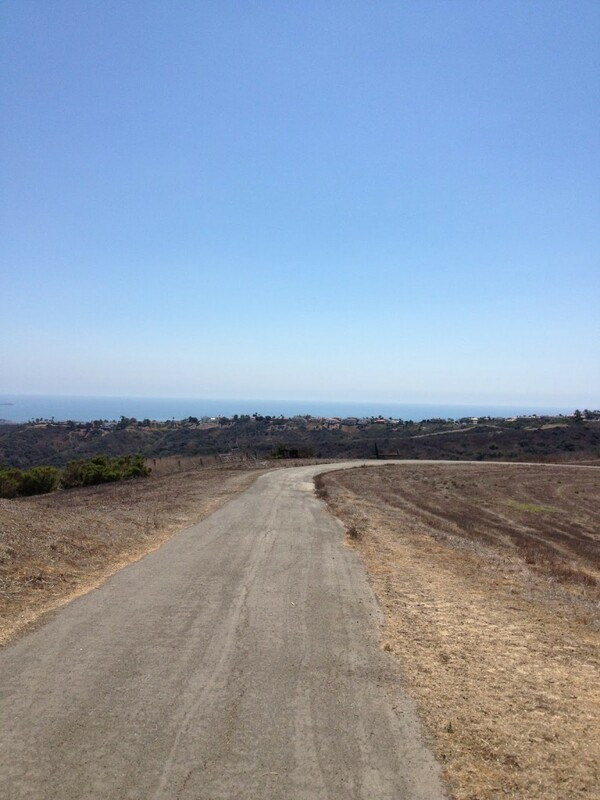 We started this hiking trail near the San Clemente Dog Park and Skate Park at 301 Avenida La Plata. There’s a free parking lot, and the trail can be found behind the Dog Park. Once you climb the steep upgrade, you can either go left or right on this hiking trail. The right-side offers more trees. Year-round: This hike is perfect year-around. Winter months can offer both cool temperatures and very clear skies to enjoy the ocean views. During the summer months, we recommend doing this hike in the early morning to avoid high temperatures. During the spring, the trail is most lush. Yes, dog are allowed on leashes.